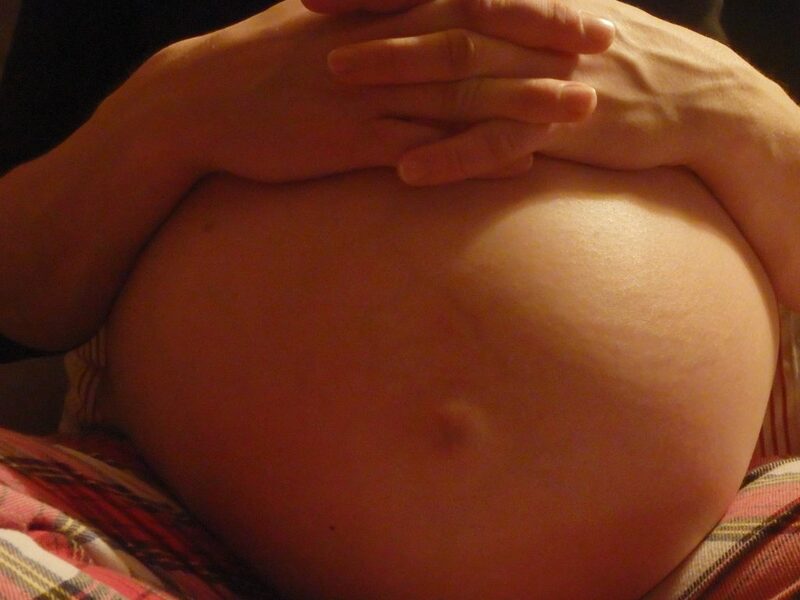 There is no one way to prevent hyperemesis gravidarum, a.k.a. HG or morning sickness x 1,000. At least, not that I know of and I have looked high ‘n low to end this horrible misery. I have read every book on the topic and spoke to women who have survived this debilitating nausea and vomiting … including myself who suffered HG 3 times. What is HG? A rare prenatal condition. Duchess Kate had it. During each of my pregnancies, I made a promise to myself that if I survived the living hell of HG then I would help others get through it as well. So, here I am. More about my story here. I hope the list of foods below help lessen the degree in which you are affected by HG. #1. Chicken Soup goes back centuries and is considered a medicinal food. Rich in calcium, sulphur, gelatin, protein, and magnesium, chicken soup is known to calm an upset stomach and act as a digestive aid because it promotes hydrochloric acid. Which if you don’t have enough of can lead to acid reflux, anemia, and nausea. When I was pregnant with my 2nd baby, chicken soup is what kept the nausea at bay for hours on end. It had to be fresh and homemade though which thankfully I had both provided to me by my neighbor. The only reason that I didn’t eat it more often was that I felt bad asking my neighbor for hot soup every day! Tip: bring chicken soup to any pregnant woman who is nauseous. #3. Cultured Vegetables are an unsalted probiotic-rich food that is hands down one of the best ways I know to get your daily dose of good flora. Probiotics are friendly microflora that balance stomach acid and decrease digestive upset (i.e. nausea, heartburn). ‘Probiotic’ = ‘for life’ whereas ‘antibiotic’ = ‘against life’. This a great food to eat to create life! They are far more potent and affordable than store-bought probiotic supplements (btw, one of my fave supplements is Just Thrive) and more effective because this a live food not an isolated supplement. #4. Eggs stabilize blood sugar and can reduce the chance of anemia or nausea. They are considered a ‘pregnancy nutrient-dense superfood’ and contain iron, protein, and folate. Plus a plethora of good fats, cholesterol (liquid gold), vitamins A, D, E, K, and Omega-3’s. All of which mom and growing baby need for brain development. The bulk of the vitamins and minerals in an egg are contained in the yolk. especially choline which is an amino acid and essential for healthy liver, brain, and nervous system functioning. Buy pasture-raised eggs from chickens that are allowed to get out in the sun as this makes eggs even more rich in vitamin A, D, E, and K (these vitamins come from the grass and bugs that chickens eat). At the very least, buy free range, organic, and soy-free eggs. #5. Green Food builds up red blood cells to prevent anemia. This is a common condition and known to play a role in morning sickness. Green food is green due to chlorophyll; which energizes, detoxes, and rich in vitamin K/C, iron, folate, calcium, and magnesium. Low levels of magnesium (an alkaline mineral) plays a role in morning sickness (an acidic health condition). Eating chlorophyll-rich food might be helpful. The best way to get in chlorophyll is to eat green food like lettuce, spinach, broccoli, green peas, and asparagus. Green smoothies are an easy way to get chlorophyll. Same with powdered greens like Vitality Supergreen. If you’re already pregnant and nauseous, you’ll be kissing veggies goodbye for awhile, otherwise stock up. #6. Liver contains more bio-available nutrients gram for gram than any other food. This nutrient-dense food contains all the vitamins that most women with morning sickness are shown to lack (i.e. vitamin K, B12, vitamin A, copper, folate). Note …. building up vitamin A stores is key for building a strong baby. Liver is an “energy booster” because it’s rich in iron; which the body is able to absorb more easily than plant sources of iron. This helps make new red blood cells which in turn keep energy levels up and decreases risk of anemia, which can cause morning sickness. Source liver from pastured animals. If already sick, you probably won’t stomach liver unless its swallowed down in capsule form with lemonade or a milkshake (liver capsule recipe, buy liver capsules). #7. Milk Kefir provides complete nourishment and rich in B6 and good fats. It also stabilizes blood sugar which tends to go out of wack in pregnancy. I make kefir with raw whole milk from a farmer down the road, but since this is a taboo topic in most states I won’t mention that 😉 At the very least source organic, whole milk kefir, like the brand ‘Lifeway’ which can be found in most health food stores. #8. Seed Grains like millet, quinoa, amaranth, and buckwheat give slow ‘n steady energy to stabilize blood sugar. Though often called grains, these are technically seeds and are rich in amino acids, carbohydrates, fiber, minerals, vitamins, and fat. They do not contain much starch when compared to protein. When digested, they produce a type of waste that help keep the gut in good shape. The fiber in them holds onto water, which keeps stools soft and helps keep constipation at bay. The special thing about these grains is that they provide food for the good micro-flora (probiotics) living in your gut. They don’t feed bad flora like group B strep; a common bacteria that can grow out of proportion during pregnancy and cause an infection in 3rd trimester. I had GBS+ with my last baby and received intravenous antibiotics during labor. This meant my baby passed through a sterile birth canal and did not receive that ‘big gulp’. If you can stomach grains, eat them as a preventative action. #9. Water ….10-16 cups a day helps prevent constipation. I couldn’t keep more than a teaspoon of water down during my pregnancies, but loved lemonade sweetened with stevia (lemons ward off nausea and detox liver) and so that is how I stayed as hydrated as I could. If you already have HG, try sucking on ice cubes or popsicles. Can’t keep water down? Don’t be shy to go to the ER for i.v. hydration treatments. They help! #10. Wild Fish contains Omega-3s; which are an essential fatty acid (EFAs), Essential means the body can’t make ’em so you must get them from food. In general, EFA’s keep nausea away by keeping gut lining strong. They also nourish brain, adrenals, hormone production, and blood sugar issues. Best wild fish are those from unpolluted, cold-water. If you have never been pregnant, but predisposed to anemia, blood sugar issues, chronic fatigue, low blood pressure, hormonal imbalances, low magnesium levels, or your mom/sister had morning sickness (or HG) then the foods listed above might help you avoid the HG curse. If you have had HG with a previous pregnancy, you might want to eat these foods months, years, before conceiving and pray for the best all the while preparing for the worst. If you are one of those moms who just get a mild form of morning sickness (slight nausea in morning but up ‘n running by noon) or feel sick all day but not enough to throw-up, then consider yourself lucky. Seriously. Hopefully these foods are all you need to stay on straight ‘n narrow path. If you are already pregnant and sick as a dog then my heart goes out to you. Truly. You might want to skip this post entirely though you never know …. you might find a jewel that works on its own or in combination with another one. I had the worst kind of severe morning sickness with my pregnancies and the only food that made me feel remotely alive for a few hours was chicken soup. So, maybe try a couple of the foods above and see if anything resonates. I offer support for women with the severe, endless type of morning sickness (hyperemesis gravidarum). If you know a mom in the throes of this HELP HER. Don’t wait for her to ask for help. She probably won’t as she’s lost in a hole of survival. By helping her cope, you can stop a condition which, left to itself, can require hospitalization or loss of the baby. Dehydration occurs after 1-2 days of persistent vomiting … watch for this along with malnutrition and consult doctor in case she needs hospitalization. Though there can be underlying physical causes for severe vomiting during pregnancy, don’t think for a minute that her vomiting is psychically based. Dean, C. (2007). The Magnesium Miracle. New York: Ballantine Books. Morell-Fallon, S. and Cowan, T. MD. (2013). The Nourishing Traditions Book of Baby & Child Care. Washington DC: New Trends Publishing, Inc.
Disclaimer: This content is for general information only; primarily educational in nature; and should not be treated as a substitute for medical advice of your doctor that you, the reader, may require for any cause whatsoever, now or in future. Consult a medical doctor regarding any health problem(s) and keep him/her fully informed to the opinions, ideas, and dietary advice offered on this site that you find useful.